FILE PHOTO: Gov. Tom Wolf doesn't remember a campaign pledge he made to join a regional effort to cap carbon emissions. Governor Tom Wolf said Friday he never made a campaign pledge to join the Regional Greenhouse Gas Initiative —a market-based effort among northeastern states to limit carbon emissions. In fact, he did. Joining RGGI was part of his campaign platform when he ran for governor in 2014. According to the U.S. Energy Information Administration, Pennsylvania is the third largest emitter of carbon dioxide among states. When asked why Pennsylvania hasn’t joined the U.S. Climate Alliance, he dismissed it as a symbolic gesture. The alliance is made up of a bipartisan group of 16 governors. It was formed in response to President Donald Trump’s decision earlier this year to withdraw the U.S. from the Paris climate agreement. Global attention has now turned toward U.S. city and state commitments to reduce greenhouse gas emissions. Wolf is one of three Democratic governors who has not joined the Climate Alliance. Mark Szybist, of the Natural Resources Defense Council, noted Wolf’s decision not to join is also symbolic. He called the governor’s comments disappointing. “He doesn’t seem to have taken a very strong public stance on climate change, which most people think is an existential threat to our very survival,” said Minott. 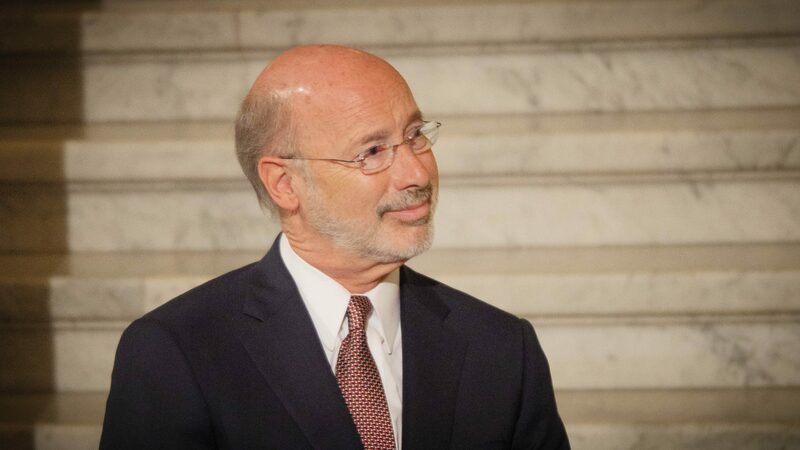 It’s unlikely Pennsylvania’s Republican-controlled legislature would support any effort Wolf made to cap carbon emissions, but environmental groups have expressed frustration with what they view as the governor’s lack of leadership.